Planet Hell: Final Fantasy Challenge update. 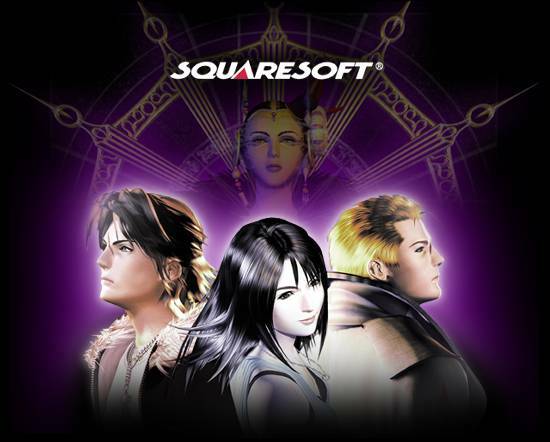 I've been putting a bit of time into FFVIII now that I beat TWEWY earlier, I loved the ending. Quite an awesome game. Its mostly Triple Triad in VIII that has been taking my time, which was going fine until I started to get unlucky just there. I had won a lot of the Lv6 boss cards from the girl in Galbadia garden and then she managed to pull a combo on me using the Same Rule (Which admittedly I can't remember how it works, I really should check a guide or something). So it might have been me not paying enough attention, but she ran away with my Zell card and refused to use it like they always seem to in this game. Then as I was trying to win it back, she got another combo on me. I was going to lose another high level card, so the PS2 had to go off. *sigh* thats a good hour or so (of mainly getting lv6 bosses) lost. I am slightly pissed off at Triple Triad now, and beginning to think I'll not put as much focus into getting all the cards since I might have already missed my chance to get the Siren card. If I do want to beat the Final Fantasy games before XIII comes out, I might have to cut some corners...maybe my aim to get all the cards this playthrough might have to be sacrificed. Still, I am quite liking VIII this time, there are lots of ways to break the system even more. The junctions, GFs, limit breaks, and magic system are kinda flawed but there are lots of ways to make your characters very strong. There are quite a few online places to play Triple triad if you feel the desire. I haven't tried any out, but I imagine they would be pretty addictive. The minigame in VIII is fiendishly at times. I'm considering starting up FFVI advance so I have a portable game I can play when I am at uni or whatever, but on the other hand, I only just started Dragon Age: Origins, am not far into VIII and if I started FFVI, that would make it 4 games on the go at once, 3 of which would be RPGs.